Ross County’s persistence paid off following the signing of Dundee United attacker Brian Graham on a pre-contract agreement. The 27-year-old, who is on loan at Premiership rivals St Johnstone, has agreed a two-year contract with the Staggies and will move north when his spell at McDiarmid Park finishes at the end of the season. Graham, who began his career at Morton and Raith before moving to Tannadice in 2013, said: “It has been in the pipeline for the last few months, I had spoken to my agent about it, and Ross County have shown a real desire to get me up there – that was one of the keys in me agreeing the deal. “I’ve seen the way the manager has progressed the team, as they had looked down and out earlier in the season. The security of a two-year contract was important to Graham, who will soon become a father for the second time, with his wife, Nicola, due to give birth in the coming weeks. Graham, Saints’ joint leading-scorer this season with 10 goals in 28 appearances, added: “My wife is due to give birth in three weeks. I have a young family and we will be moving up to the Highlands. Graham’s loss is a blow to the Perth Saints, but despite being ineligible for tomorrow’s match against parent club United, the forward is still keen to play a role in helping them qualify for the Europa League. 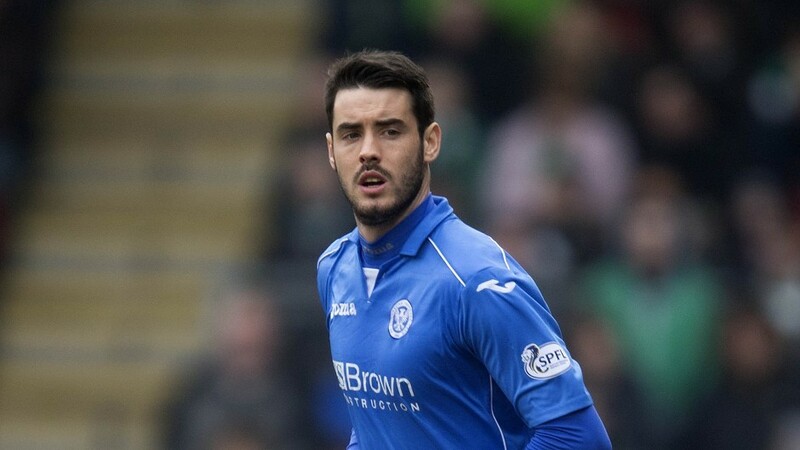 Graham added: “I am still committed to St Johnstone. I can’t play this weekend but we still have two big games against Celtic and Aberdeen, and they are really good matches to be involved in. Graham’s signing further strengthens manager Jim McIntyre’s attacking options for next season as forwards Liam Boyce and Craig Curran signed two-year contract extensions last week. A County victory against St Mirren would guarantee they avoid the relegation play-off position if Motherwell fail to beat Kilmarnock tonight. McIntyre was thrilled to have got his man for next season, and said: “Brian’s a player I’ve admired for a long time and I’m looking forward to working with him. McIntyre dismissed speculation linking County with a move for Plymouth Argyle defender Peter Hartley.